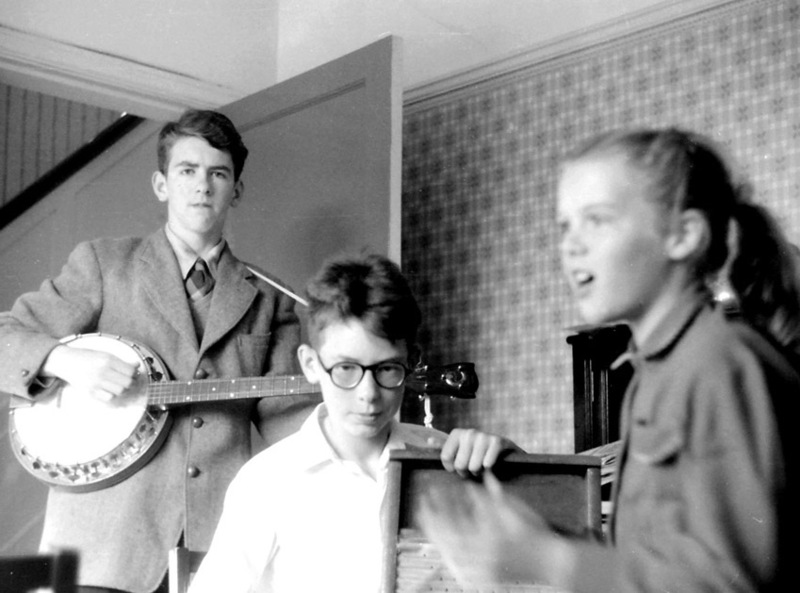 In 1956 at Quarry Bank School in Liverpool John Lennon started his skiffle group with some school pals, Pete Shotton, on washboard, Eric Griffiths on guitar, Bill Smith on tea-chest bass, and they were soon joined by Rod Davis on banjo. T-chest bass player Bill Smith soon drifted out of the band to be replaced by Len Garry (coincidentally a friend of Paul McCartney’s from Liverpool Institute) and Colin Hanton joined on drums. A friend of Eric and Rod’s from Woolton village, Colin was a year or two older than the others and was working as an apprentice upholsterer which gave him the opportunity to squander some of his hard earned cash on a set of drums from Frank Hessy’s Music Shop. As group members left and joined, the lineup eventually became John Lennon, Paul McCartney, George Harrison and Colin Hanton (the Fab Three and a Half!). Around this time they were joined by John Duff Lowe, a piano playing friend of Paul’s from Liverpool Institute, who played on the famous Percy Phillips recording of “That’ll be the day” and “In spite of all the danger”. Duff drifted out soon afterwards and Colin finally left the Quarrymen in 1959. Whatever happened to John, Paul and George we shall never know. 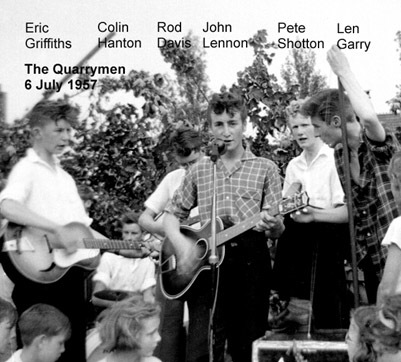 But if you want to find out more about the Quarrymen, get to buy their cds, photos of St Peter’s and Clubmoor performances, Hunter Davies’ biog of the Quarrymen and other goodies, then visit the website of John Lennon’s Original Quarrymen. Photo right shows Rod with brother Bernie and sister Rosemary taken around 6 July 1957.